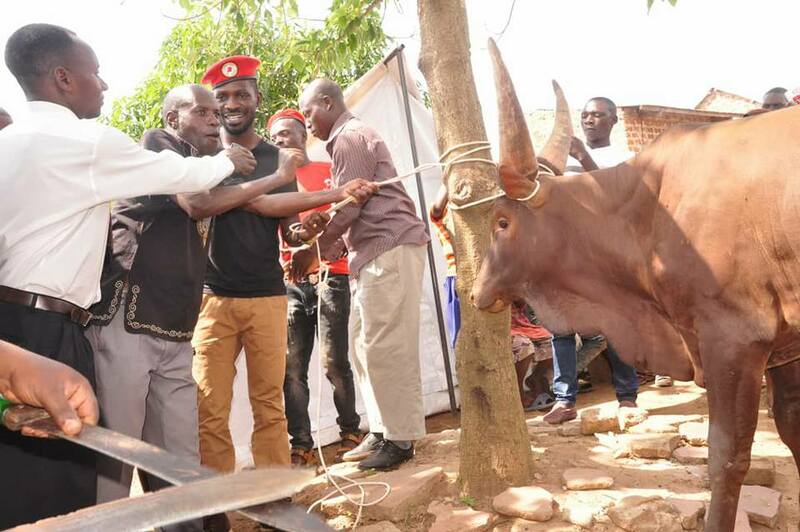 WAKISO – Kyadondo East MP Robert Kyagulanyi aka Bobi Wine on Monday delivered foodstuffs, including a cow, to hundreds of homeless residents of Lusanja, Kasangati Town Council in Wakiso District ahead of Christmas. The residents were evicted in October and have since been staying in makeshift shelters. 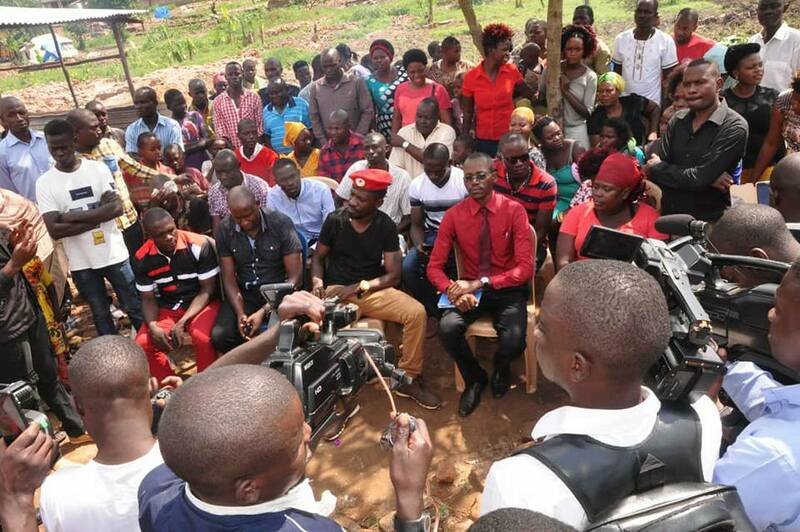 Bobi Wine, who is their MP and has in the past months delivered foodstuffs to them, repeated the feat ahead of Christmas. “Today, I visited the people of Lusanja who were evicted from their homes and shared with them foodstuffs and other items for Christmas. They do not have a roof on their heads yet, but at least they can have a decent meal with their children on Christmas day. I appreciate my friends who contributed to this cause,” he said. “I encourage those of us who are able, to use this season to reach out to those who are less fortunate and give them a hand- the hungry and thirsty, the homeless and sick, the destitute and prisoners. We give not because we have a lot, but because we know how it feels to have nothing,” he added. 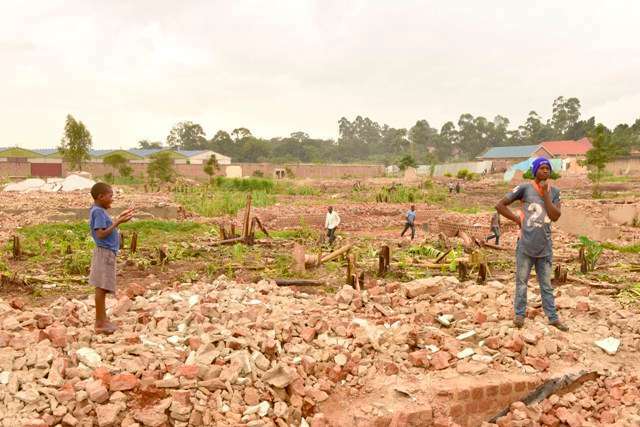 Court last week nullified the violent eviction of hundreds of families that left property worth millions of Shillings destroyed in Sekanyonyi Village in Mpererwe in Kawempe Division. High Court Judge John Eudes Keitirima ruled on Friday that the Chief Magistrates Court at Nabweru that ordered for an eviction which resulted into the destruction of property had no jurisdiction to handle the case. “The execution was a nullity as it was based on a decision that was issued by a court without competent jurisdiction. Determining the merits or the demerits of the execution process would, therefore, be superfluous,” Justice Keitirima held.